Final details for New Year's Eve celebrations announced earlier today. Details tied to the New Year’s Eve festivities taking place over the weekend were announced earlier today. This year, festivities will also be ushering the European Capital of Culture festivities, with the Official Opening taking place on the 20th January. St. George’s Square will once again host the main stage boasting some of Malta’s top local artists and bands, as well as international artists focusing on performance and visual art. The festivities will kick off at 8pm and will run till 2am. The line-up for the night includes special international guests EMBER TRIO, a new age string trio who combine a unique blend of classical and contemporary production elements which have elevated them to become Europe’s most successful classical crossover string trio. The line-up includes Brass House Unit who will also feature Gianluca Bezzina, Ozzy Lino and Gloriana as well as Kim & the band. The event will be hosted by Corazon Mizzi and Owen Bonnici. As with previous years, the Digital Projections developed by MCAST and Valletta 2018 in collaboration with Mad About Video will usher in the New Year with a special countdown. Finally, DJ Mykill and trumpet Live will close off the night. 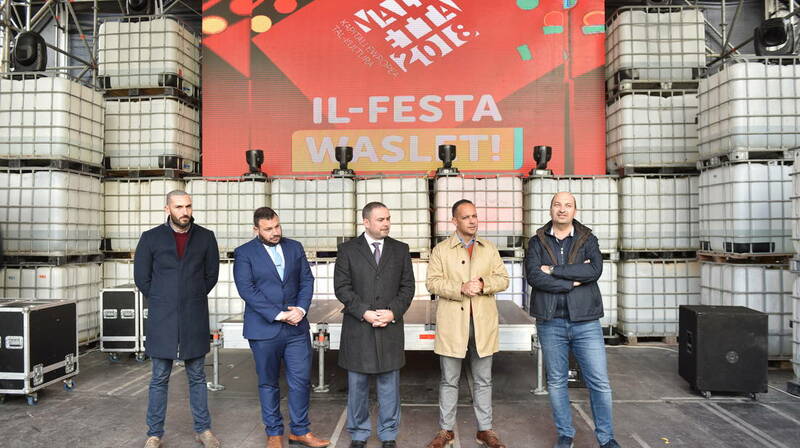 The NYE celebrations are being organised by the Valletta 2018 Foundation, in collaboration with the Valletta Local Council, the Ministry for Tourism, the Ministry for Justice, Culture and Local Government and G7 Events.